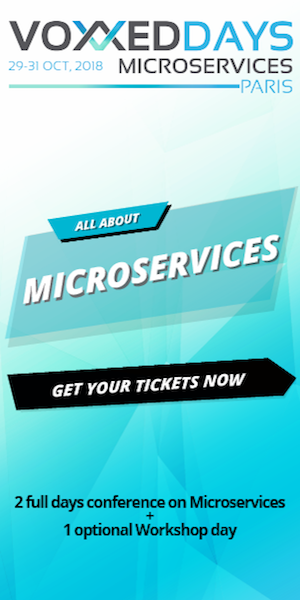 A notable conference for software developers will take place in Riga, in March 2016. The largest software developers’ conference in the Baltics will take place in Riga from 2nd to 4th of March, for the second year in a row. At least 35 world-famous speakers from the EU, Switzerland, Norway, the Baltic states and Russia will give talks on the most relevant topics in the IT industry. Featured speakers include Robert Nyman (Google, Sweden), Jessica Rose (DreamFactory, UK), Quentin ADAM (Clever Cloud, France), Oracle representatives Chris Saxon (UK), Dalibor Topic (Germany), Grant Ronald (UK), as well as Andres Almiray (Canoo Engineering AG, Switzerland), Gill Cleeren (Ordina, Belgium), Anton Arhipov (ZeroTurnaround, Estonia), Claus Ibsen (Red Hat, Sweden) and many more. James Gosling will give online talk at JavaDay Kyiv! As you know, this year is significant for Java. Our JUG have held JavaDay Lviv and JavaDay Kharkiv conferences devoted to Java’s anniversary. The time is passing quickly and our team is working hard on the 5th JavaDay Kiev, which will be held in Kyiv on 6th-7th of November. Almost all talks are in English! At Sunday 8th of November, Dr. Venkat Subramaniam (award-winning author, founder of Agile Developer, Inc., and an instructional professor at the University of Houston) will held “Essence of Agility – The Key Technical Practices” practical workshop. You are welcome to the 5th JavaDay Kiev conference! Let’s move the Java world! С 12 по 14 июня, в Таллине (Эстония) пройдет замечательная конференция GeekOUT. Конференция замечательна тем, что доклады и докладчики подобраны по очень профессиональным критериям. С 13 по 15 марта, в Варшаве пройдет интересная конференция 33rd Degree 2013. Она примечательна тем, что за небольшие деньги (на данный момент 130 евро) можно послушать больших людей ;) К тому же из Киева есть прямой поезд.